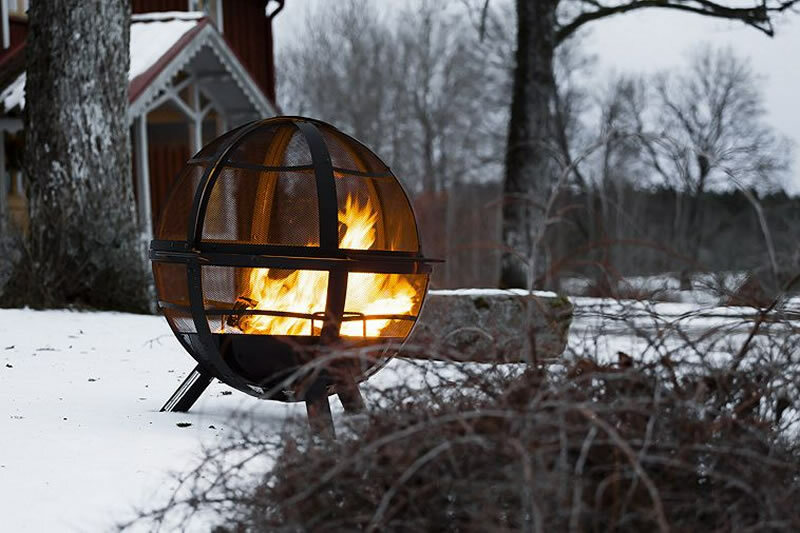 When the evenings are starting to get a little chilly, the ambiance and warmth of a real fire is very welcome. 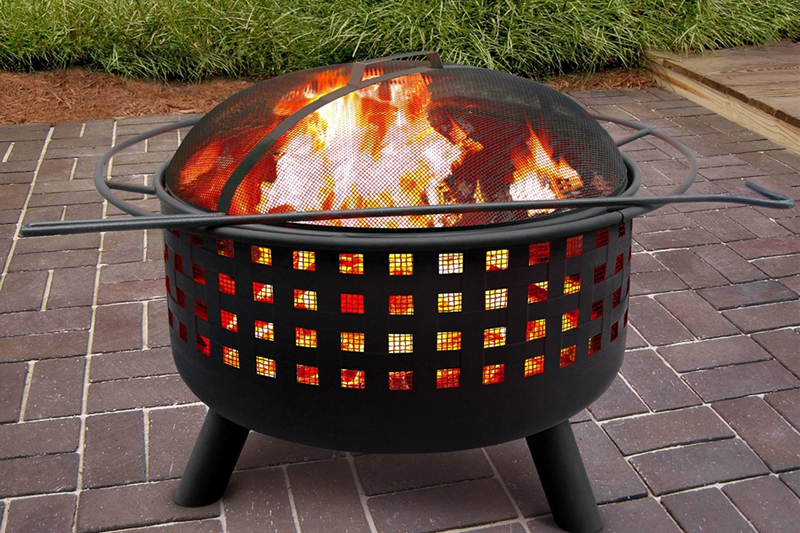 Fire pits are cheap to install, can burn real wood or use gas or even modern clean-burning gels. But if you don’t want an emergency visit from the local fire brigade, and want to keep all your guess happy and healthy – then there are a few important tips to follow. 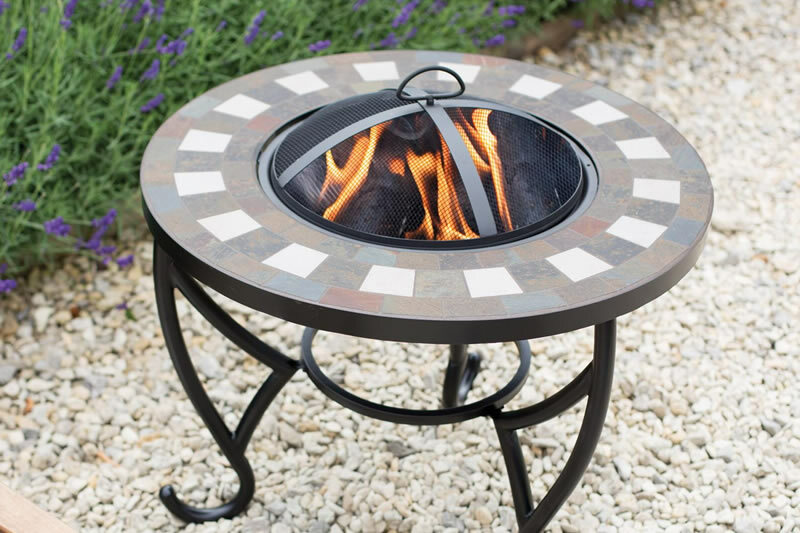 Although a basic fire pit does not require any planning permission or consent from the local authority, if you are planning on any other building work, for example if the firepit is part of a larger garden makeover that involves some hard landscaping or construction – you should always seek advice from your local authority before you begin any such project. 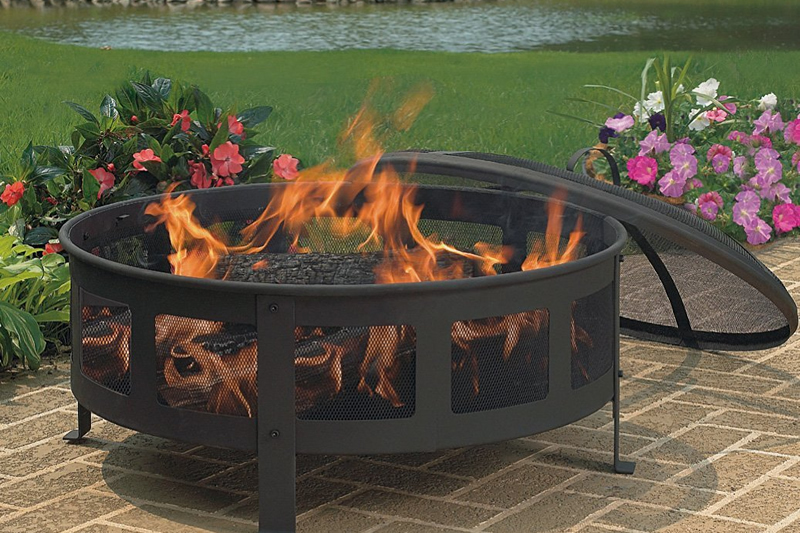 When considering the location of the firepit or fire bowl, remember that the fire will likely be the focal point of your garden so allow for plenty of space around the fire for seating and tables. This area also must be clear of any branches or foliage that could catch fire (make sure it is at least 2 metres away from wooden outbuildings like sheds too!). A good rule of thumb would be to have at least 2m of clear space around the bowl! 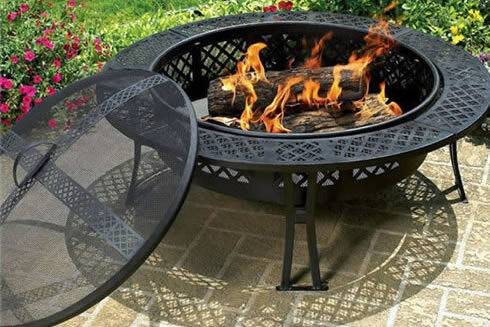 If you choose a fire bowl that burns real wood, make sure it comes with a mesh cover to keep sparks from floating out of the bowl on the hot air currents and setting other parts of your garden on fire! 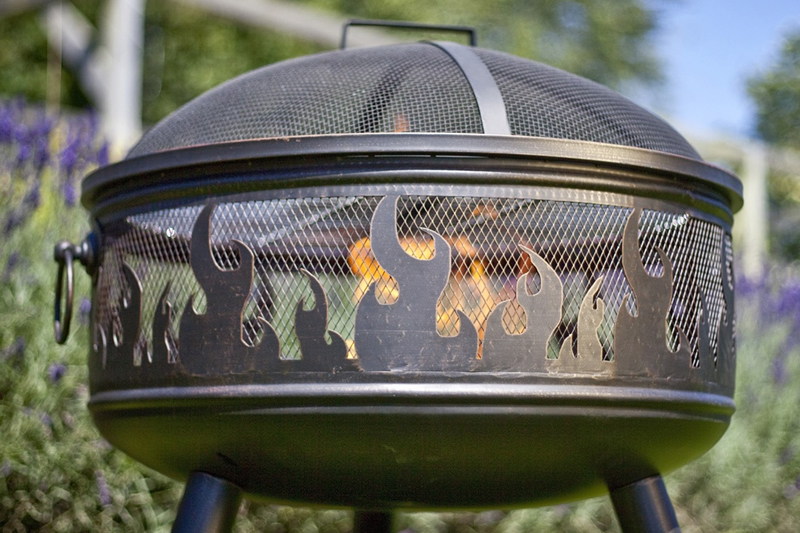 But even with a mesh guard or spark arrester, never leave the fire unattended and keep a bucket of sand or similar handy to quickly damp down fire if required, a shovel and/or rake is handy too, as is a fire extinguisher. 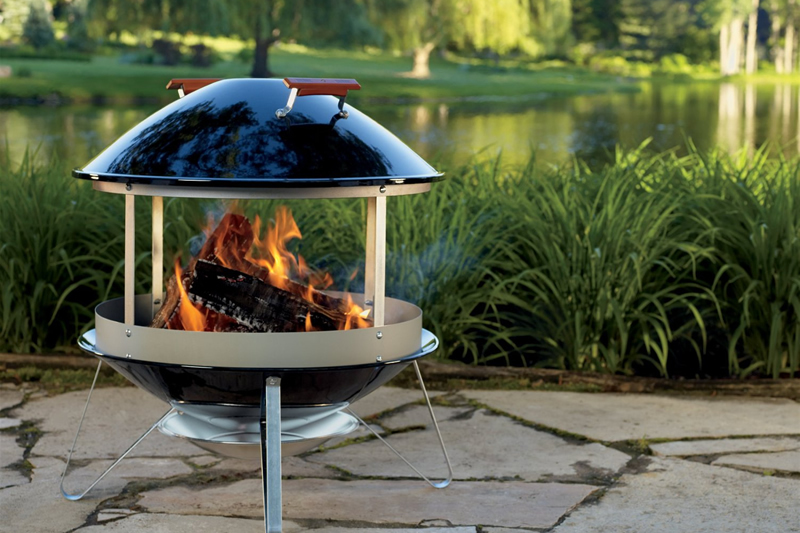 Never use charcoal lighter fluid or petrol to light the fire pit, use kindling and paper, or fire lighters to get the fire going. 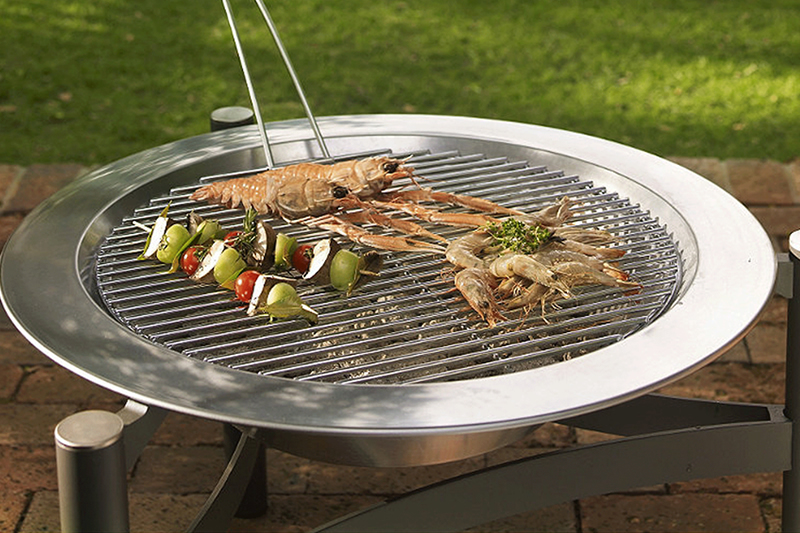 Finally have some consideration for neighbours, make sure you warn them if planning to light a fire so they don’t hang washing out, better still, invite them over to enjoy your fire pit. 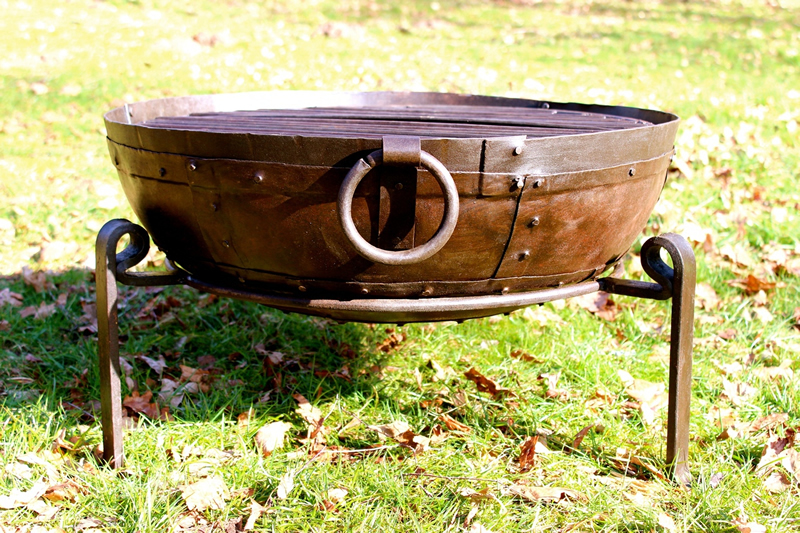 A fire bowl/pit looks great, is fun to sit around of an evening while keeping warm, and can even cook your food. Plus as long as you take some common sense precautions, they are perfectly safe too – though excess toasted marshmallow consumption is bad for your health!